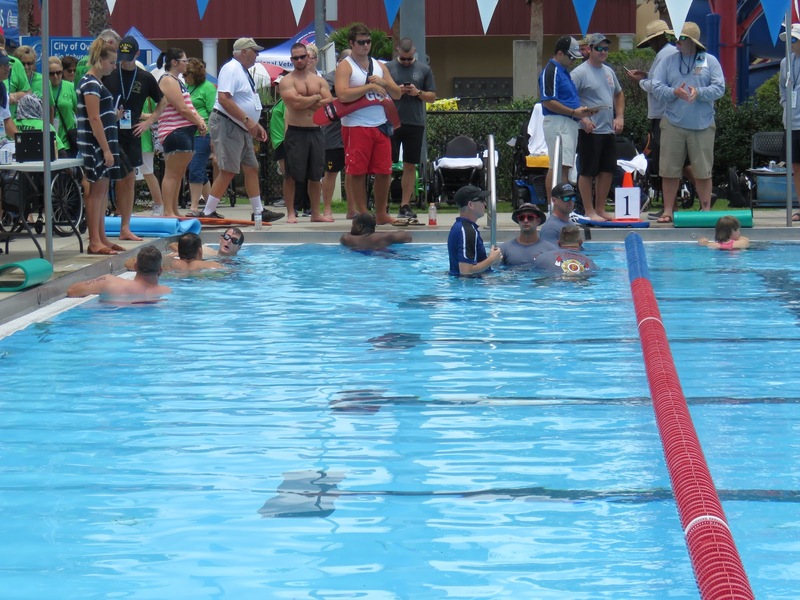 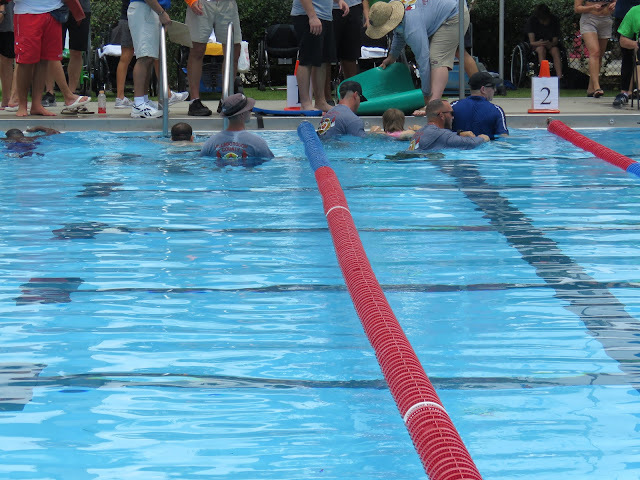 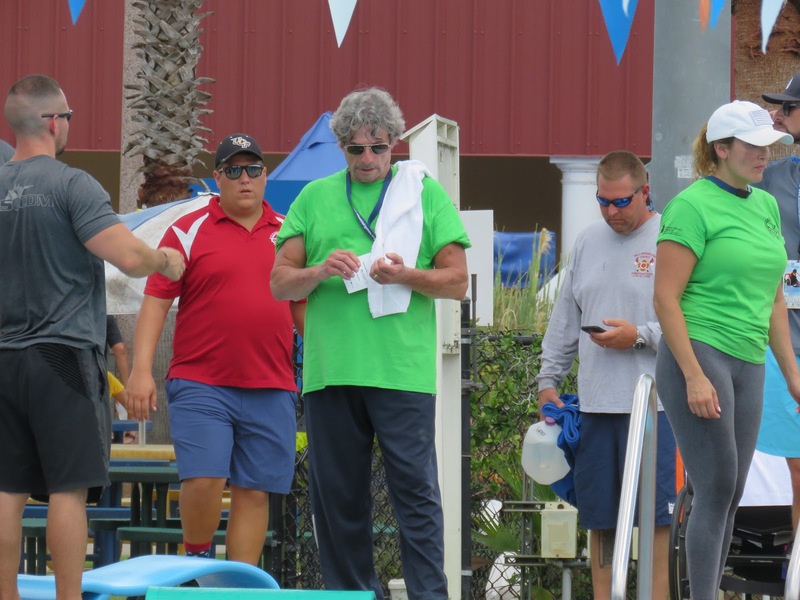 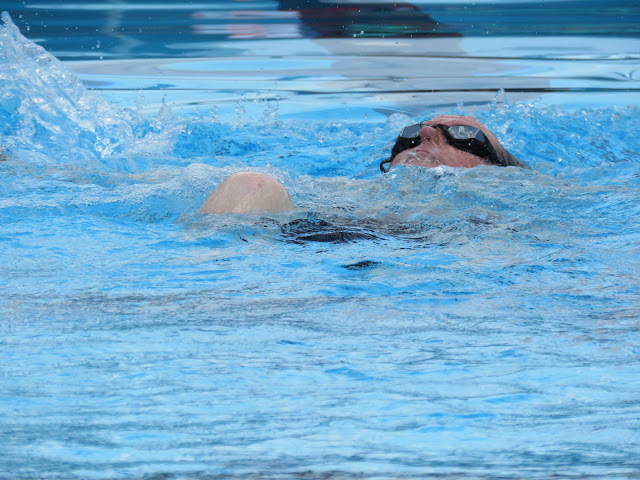 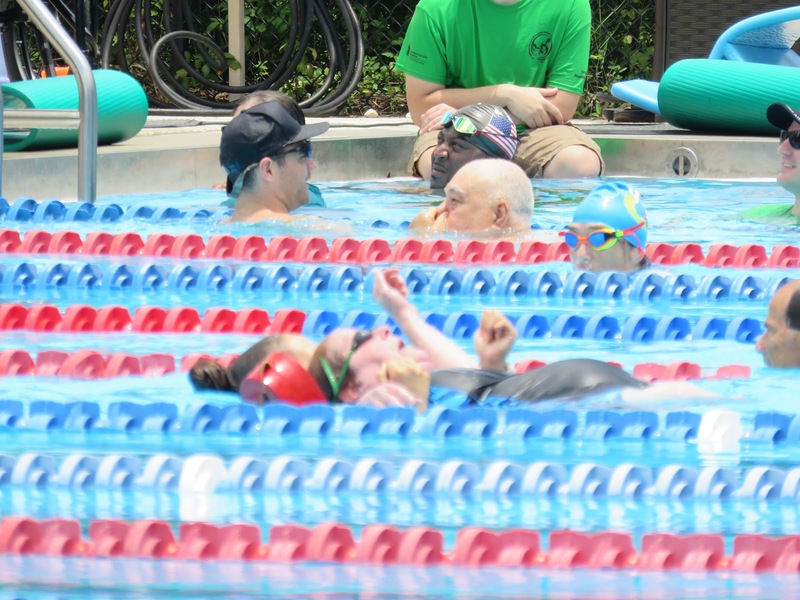 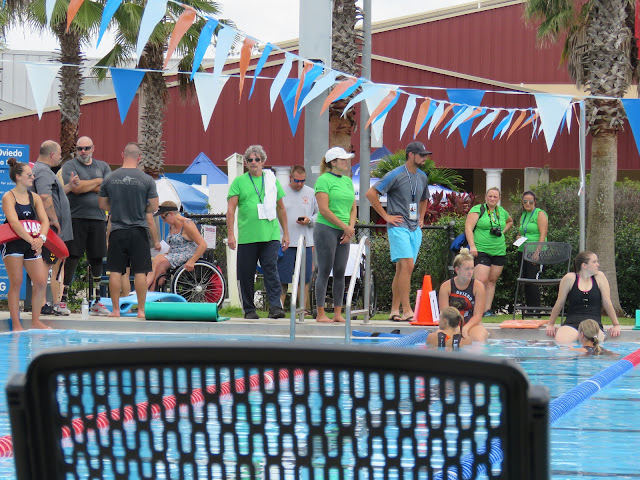 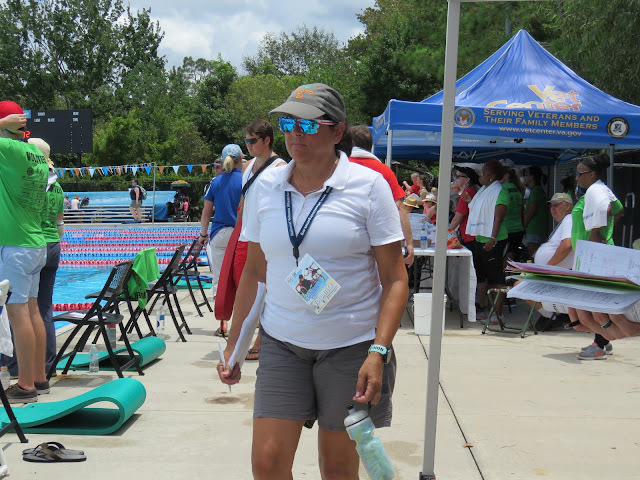 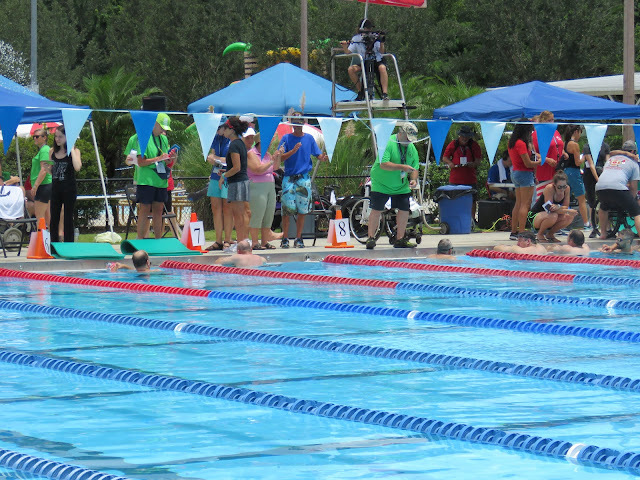 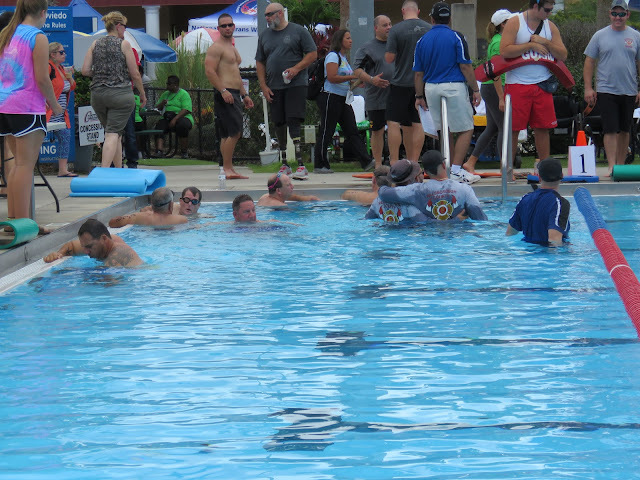 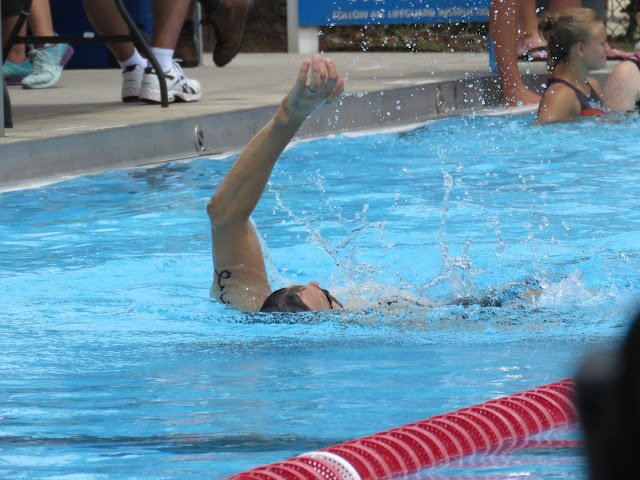 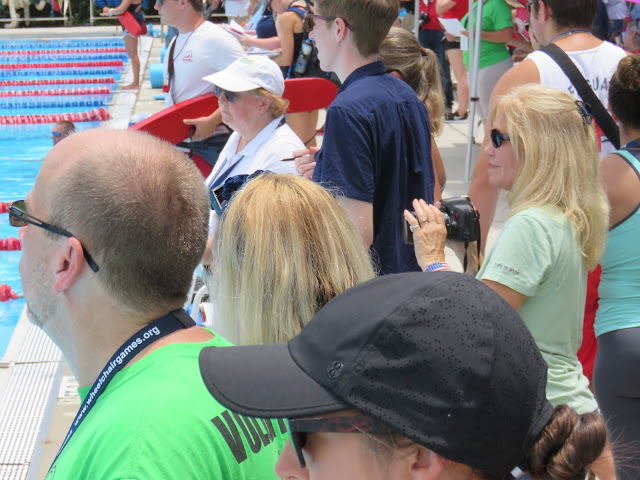 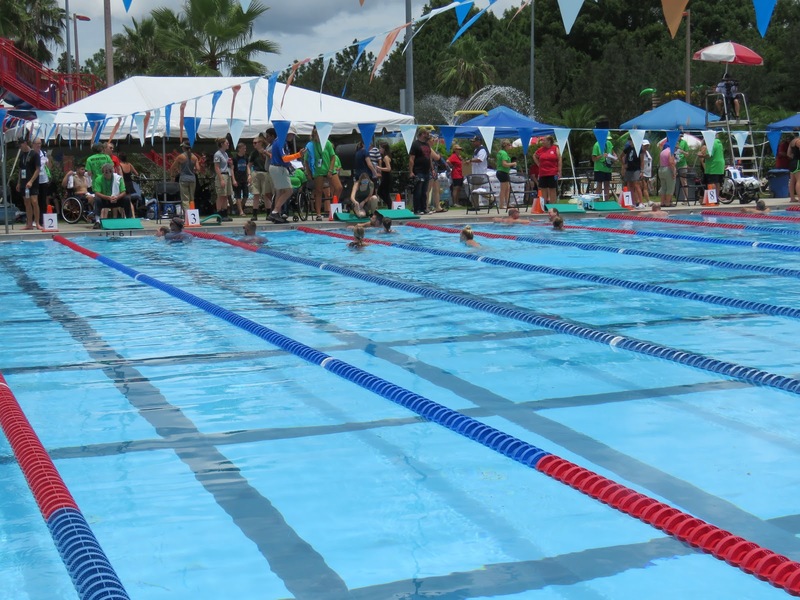 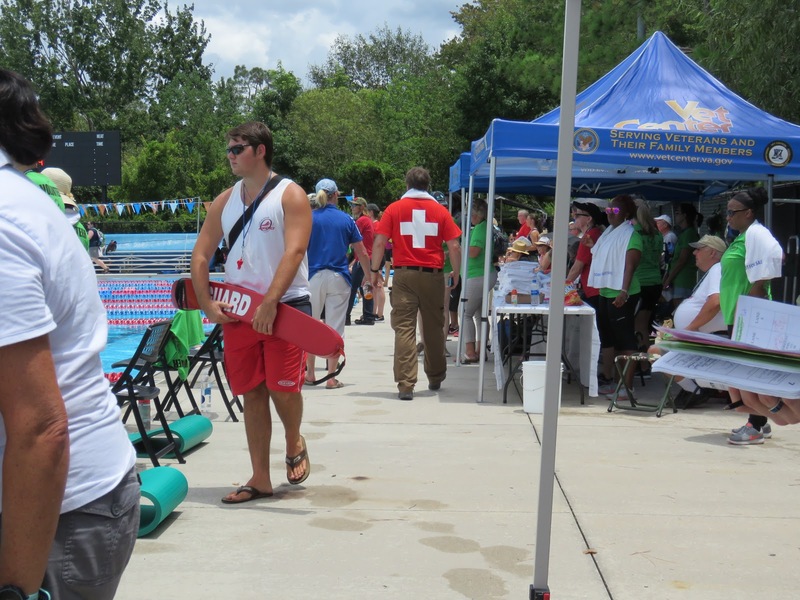 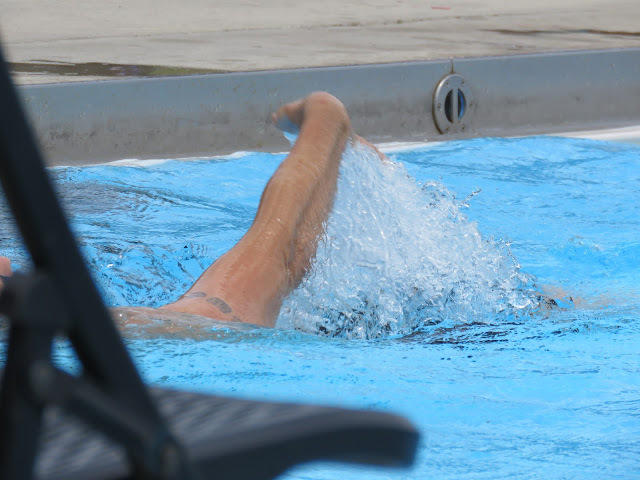 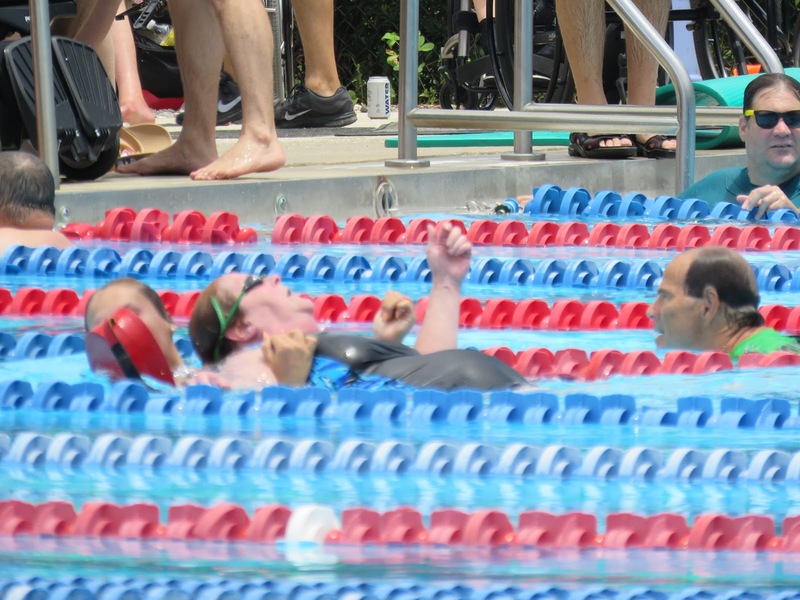 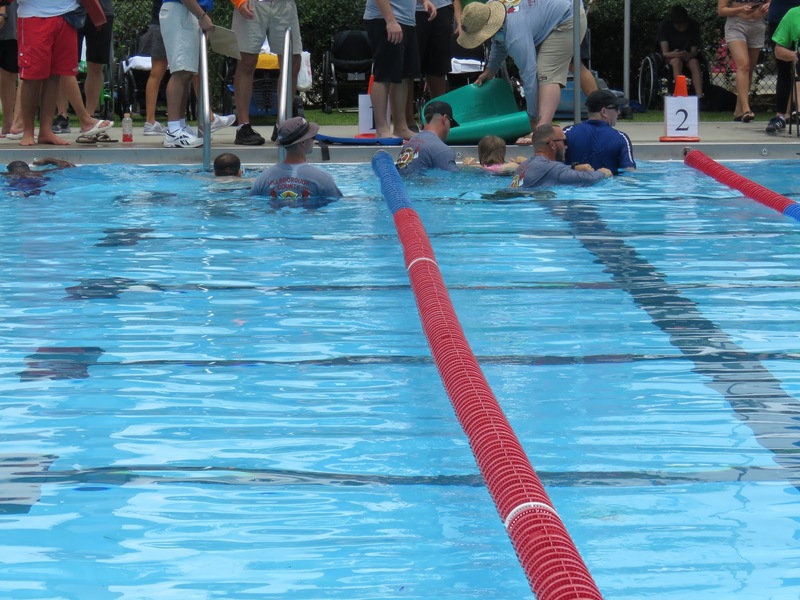 Yesterday at the Ovideo Aquatic Facility the 38th National Veterans Wheelchair Games. 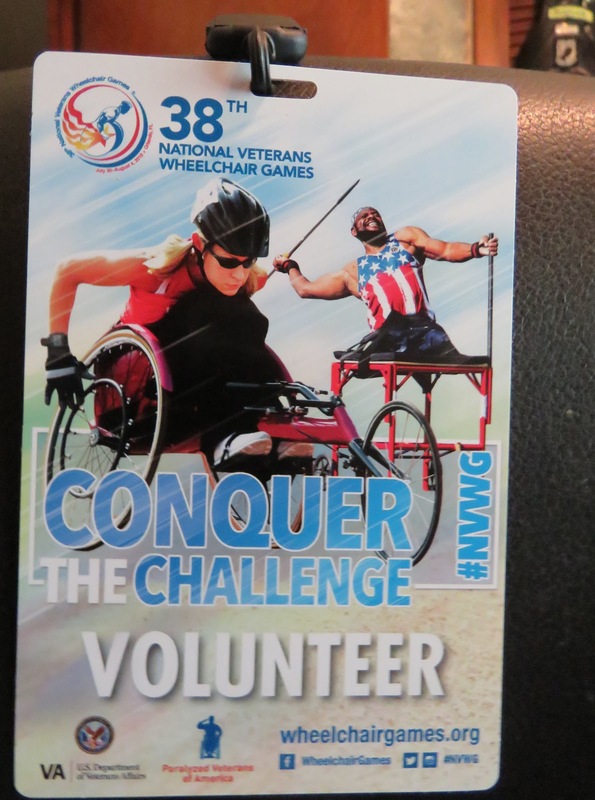 The National Veterans Wheelchair Games is co-presented between the Department of Veterans Affairs and Paralyzed Veterans of America. 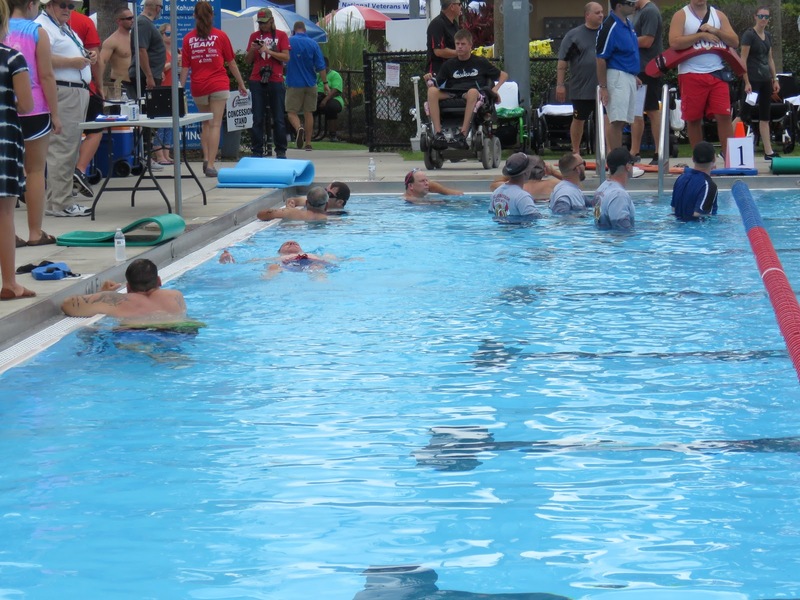 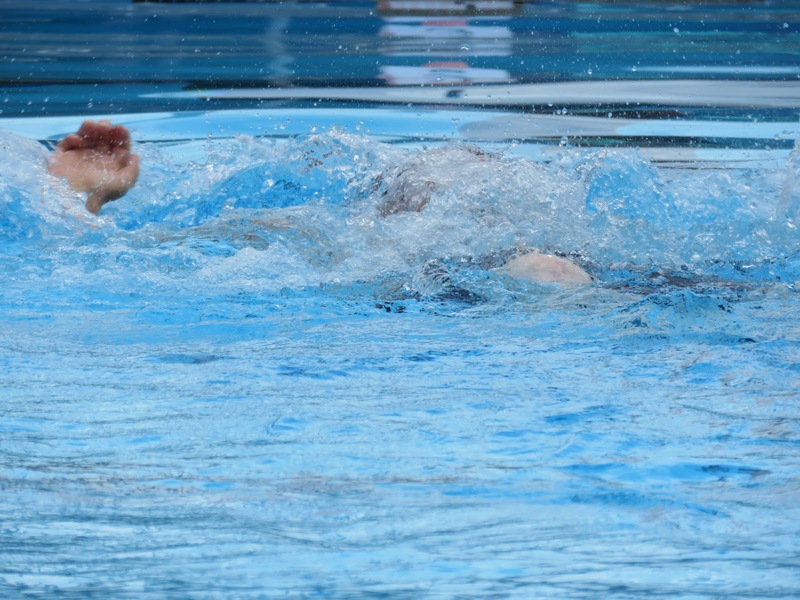 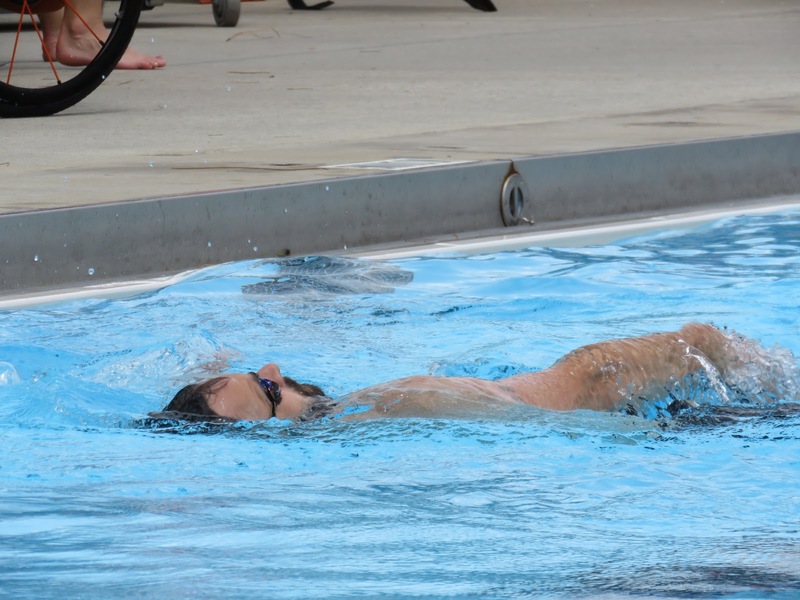 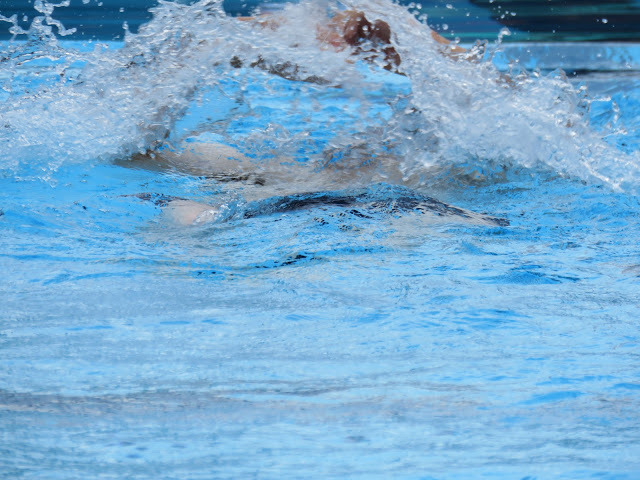 The Games serve Veterans with Spinal Cord Injury, Multiple Sclerosis, Amputations and other central neurological impairments with the goal to increase their independence, healthy activity and quality of life through wheelchair sports and recreation. 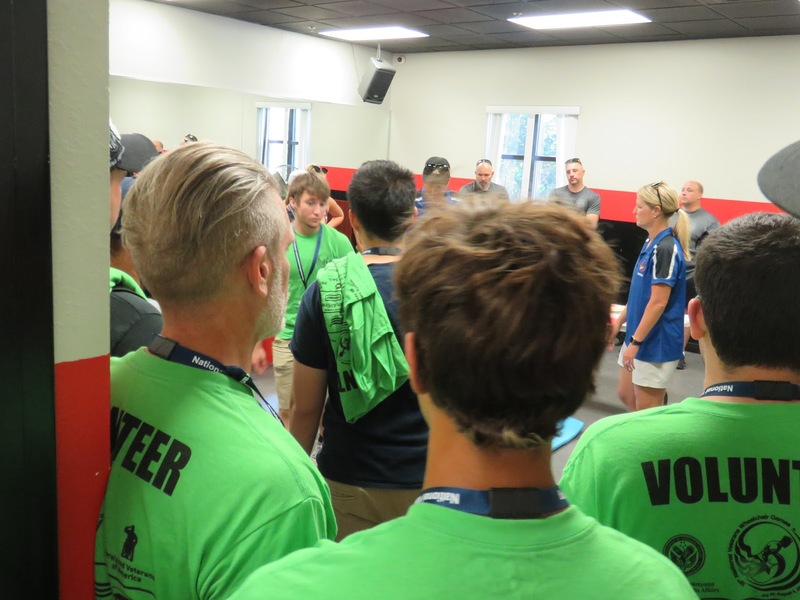 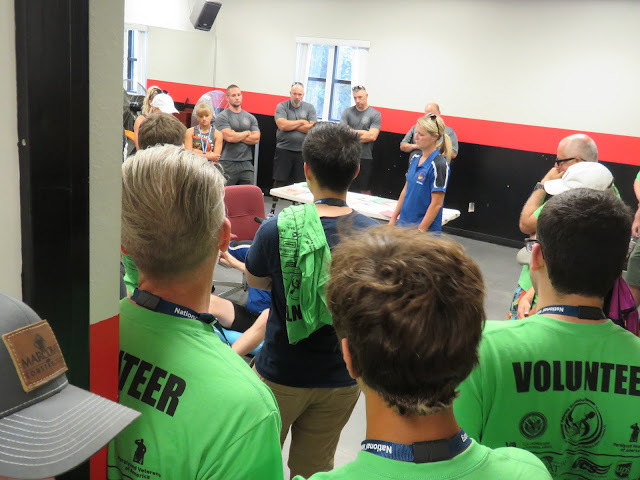 Veterans are being exposed to wheelchair sports at their home VAMC or PVA Chapters as part of their rehabilitation to improve function, independence and getting them active in their home communities in sport and fitness. 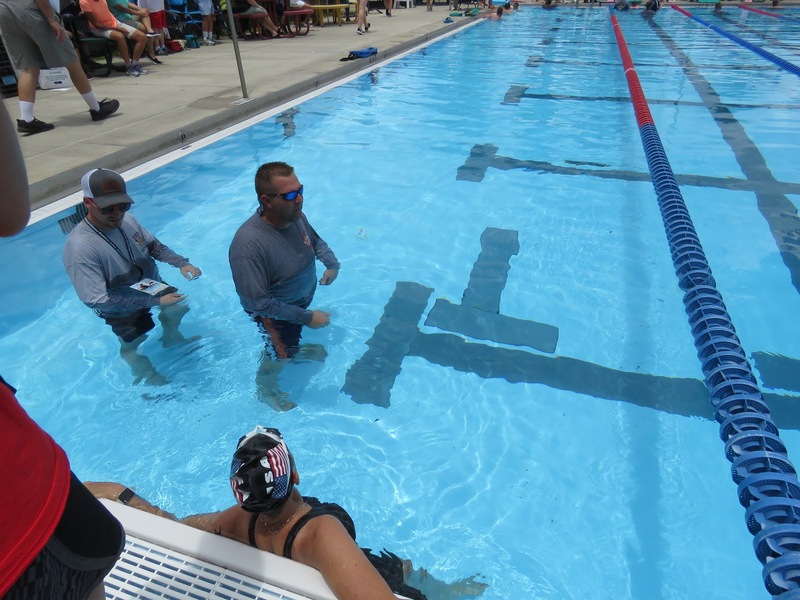 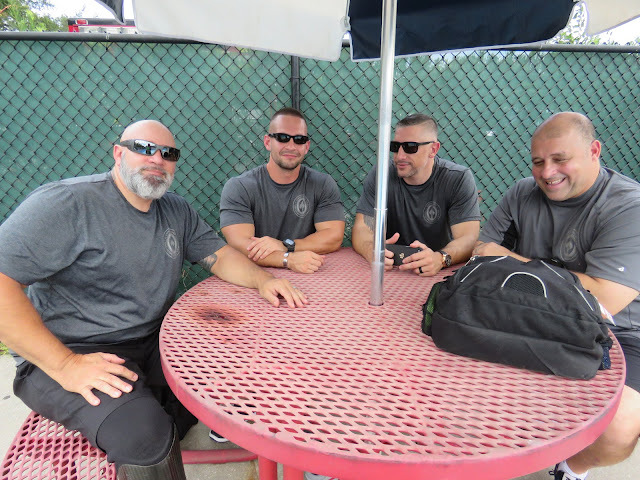 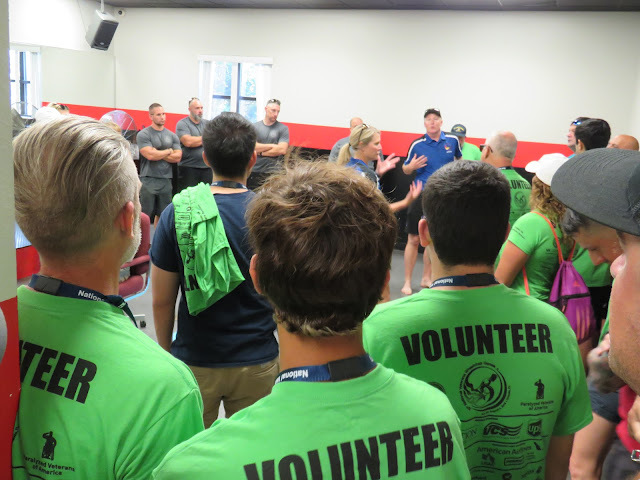 This group is training to be "lifters" to help get the veterans into the pool and out of it. 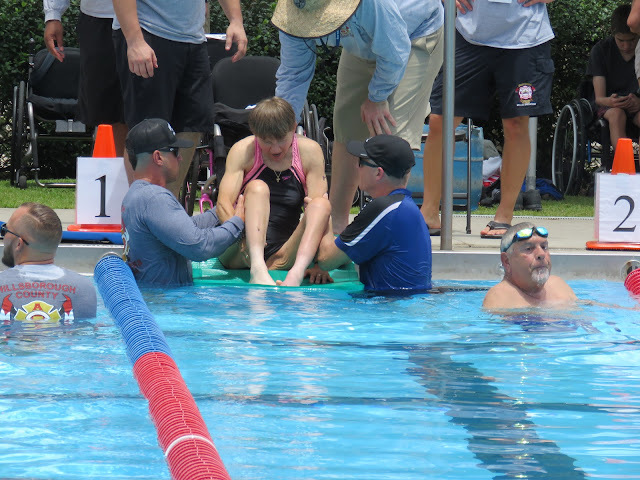 This veteran started having trouble...in a blink of an eye, the lifeguards were there to help her!